Home » blog » Choose American Made Products this Summer! Choose American Made Products this Summer! When you provide branded items with your logo, the promotional products you select make a statement about your organization. While people may love imported french wine or swiss chocolate, it’s harder to get them excited about cheap plastic tchotchkes from China. If you want to offer higher quality products, consider using items made in America. You get products made by a highly skilled workforce, with easy access to large inventories from companies that adhere to US safety standards and environmental guidelines. You are also helping our economy, and the job you save could belong to your neighbor. Here’s a few ideas just in time for Independence Day. 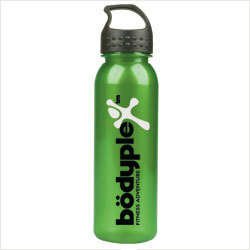 Get more bang for your buck with this BPA-free sport bottle. The metallic look gives this bottle a high perceived value and makes your logo look great. Great for company picnics or local road race giveaways. Rather than hand out another cheapo t-shirt, upgrade your event with this V-neck style. It’s made of a unique trebled material that gives it a vintage look and soft feel that will appeal to a younger, active audience. They won’t want to be a walking billboard, so keep the logo small. This “made in Massachusetts” name-brand gift will make any golf event more memorable. 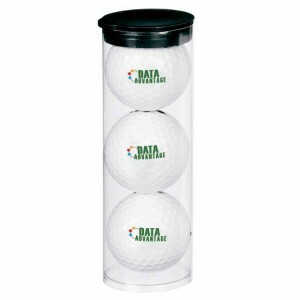 Includes three genuine Titleist DT SoLo golf balls imprinted with your logo. Perfect fit for tournament sponsors. A striking addition to any office, this unique clock uses a traveling magnetic ball to show the time. Features high-torque, precision quartz movement with your logo on the face. A great giveaway for placement in high traffic locations like retail stores and restaurants. We are always on the lookout for interesting and unusual products and try to order from local manufacturers. We can help you showcase your “Made in USA” and “Buy Local” message with the right products. 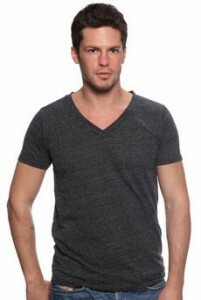 Just drop us a note at jamie@sophwell.com. ‹ Your Brand. Every Day.